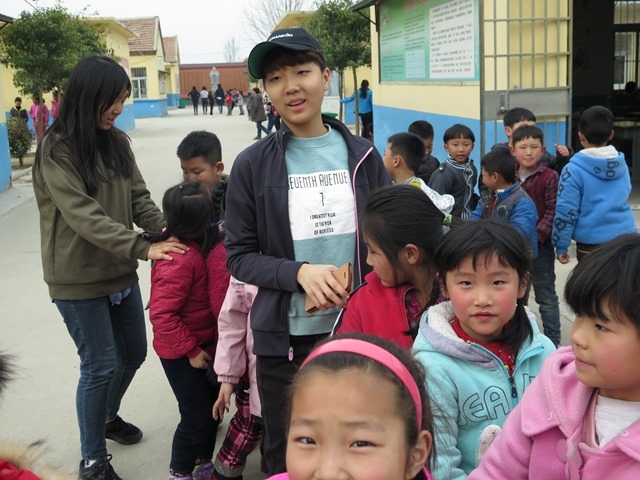 It was 31st March and our school was going to close for Easter and Qing Ming holiday. 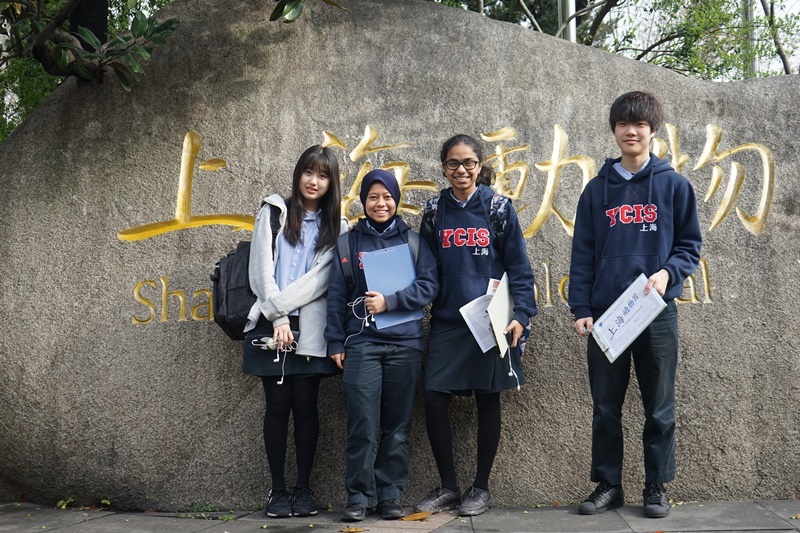 My Chinese class which is CAL 1&2 collaborated with CAL 2 and we went to the Shanghai Zoo. 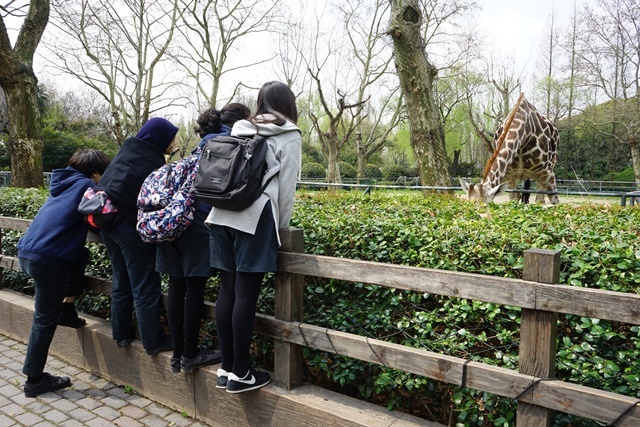 The teachers bought the tickets for us and then we entered the zoo. Colorful flowers had grown parallel to the footpath whose fragrance was tremendously soothing. Our first stop was at the aquarium where a large number of fish were kept. They differed in species and colors. Some of them which were closer to being extinct. To see them playing in the water was a wonderful experience. Then we came across a beautiful lake in which some water birds were swimming gracefully. Seeing the flamingos and the cranes drink water was just a charming sight. As we moved on, we came to the enclosure in which flying birds were kept. They ranged from eagles to parrots of different colors. Their chirping was just like an enchanting music which was simply enjoyable. Our next halt was in another closure where lions, tigers, puma and leopards were kept whose roars were deafening. We also saw pandas who were simply eating bamboo and were lazy but cute. The zoo was so vast that it is very difficult to describe all the enclosures. After taking a complete round of the zoo, everyone was tired, so we relaxed and ate our snacks. It was time to get to school so we came out of the zoo like many other visitors. We passed many happy hours in the zoo which was just a pleasing experience for us. 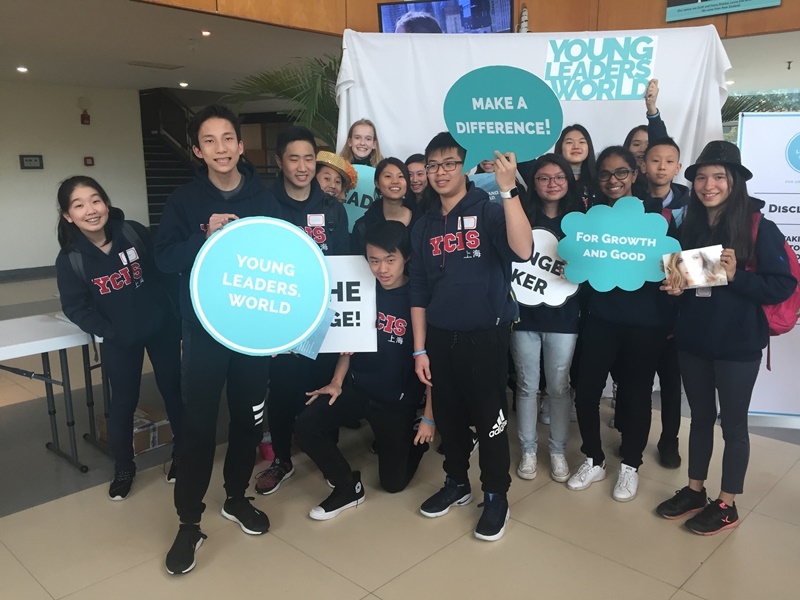 On March 3rd, 2017, some students from student council and prefects had the great opportunity to attend the annual WeStand Summit by YoungLeaders. World. We were lucky to be invited to this summit as a prefect because we learnt so many new things. After the long day of the event this summit, it provided me with a new open mind on how to be a Personal, Local or even a Global Leader and have a clearer vision for my future. This remarkable day started at 8 am, a bus ride from Shanghai to Suzhou. By 9 am we walked into the event and were simply given a booklet, a wristband and a pen. What I didn’t know was that those three items, would inspire a whole room of young leaders to act. The first speaker walked in her name was Pocket Sun. We remember that she spoke about when she lived in China as a child. In her school, everyone looked the same they had the same hair-cut, clothes, and so on. No one expected her by the age of 18 to go to college in the US. But she did. We also remember that she clearly said, “It’s not impossible it’s I’m Possible.” Now, she has a Master of Science degree in Entrepreneurship and Innovation and a Bachelor of Business Administration degree, she’s been named one by Forbes in the 30 under 30 in Venture and founded SoGal one of the world’s largest communities of entrepreneurs that has helped many start-up businesses in the US and Asia. After listening to her speech, I can relate to her story as I also moved to China at a young age and had to fit in. She serves as an inspiration as I strive to create my own business in the future and hopefully become as successful as she is. After the first two speeches, we were sent off to lunch in our designated areas. Each of us got a different colored lunch ticket, which led us to different parts of the gym to have our lunch. At first, we were all very excited and curious about what our colors meant, as some of us got yellow and others got orange. But after we entered the gym, we realized that each color represented a different group of people in society, orange being lower class, yellow being middle class and blue being the upper class. Just like society, most of us received orange, only some received yellow and even less people received blue. This was given to us to simulate how society works, and how people feel when they are less fortunate than others. I thought that it was a really nice experience and a creative way to educate us on real problems in society by experiencing them. After that eye-opening meal, we were invited to the foyer to do some workshops. Inside the foyer was a wide range of different activities for us to do. These activities focused on environment & animal protection, education, poverty reduction/community building, and hunger/food security. However, one of my favorite workshops was one called “Food for 10 days”. This workshop gave each group of us an amount of rice and told us to divide them equally among 10 days. After we completed that, they gave us a situation. Each situation meant that we had to divide up the small amount of rice we had into even more smaller amounts of rice to cope with the situations. This really made me feel like I was in their shoes, having to deal with food and these types of problems. It also made me realize how privileged we were and that we didn’t need to worry about things like this and how we still need to help those who are out there. Next, it was Denise Huang’s turn to speak. She designs foot-wear, accessories and has a boutique in Shanghai. Her shoes displayed in the world’s most prestigious fashion district in the world, New York City. For me she was inspiration to be creative and peruse your dream. Since when she started out as a shoe designer many thought it was only a hobby. Her motto is to always think “Why not?” instead of “Why?” Her determination of following her dreams and bringing back something she really loved from her childhood inspired me to keep following my dreams no matter how many people say no. Finally, it was Gracie Schram. She’s an 18 years old singer, songwriter of rustic indie pop. Her goal is to change the world through music, because when she was little she saw a video of children suffering from starvation in Africa and she wanted to make a change. At the age of 18, she raised over 40,000 US dollars for humanitarian causes. Through the support of her parents she could explore her musical abilities. By listening to her story, I learnt that no matter how old you are with the support of the ones you love can you can still make a change. By the end of all speeches, there was one activity left “Vision”. We were told to write down with as much detail our vision of our future. We all had to promise that from that day we would use that as a guide to be leaders and lead. We would stand and make a change for the better. 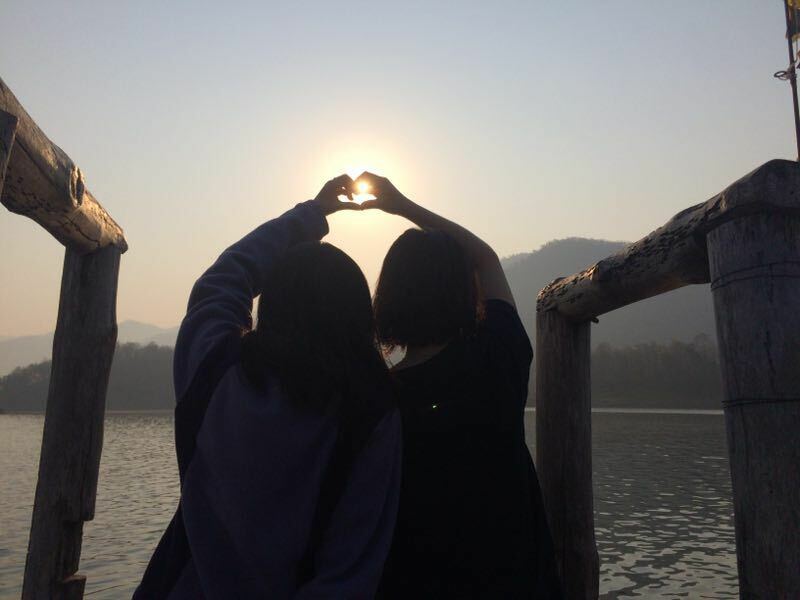 During Thailand trip, I had so much fun doing all the activities with friends and teachers. 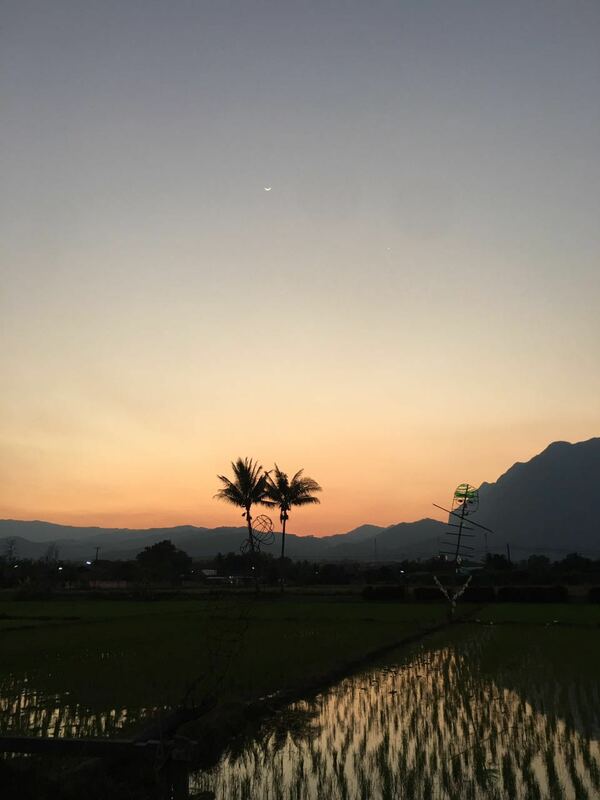 We did a number of activities which include kayaking, visiting schools, night market, trekking, going to an elephant park, the IB group 4 project, among other activities. 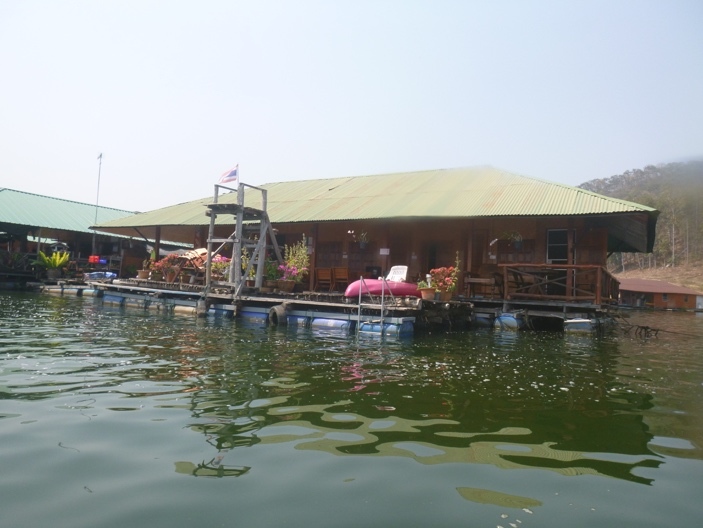 I basically enjoyed all the activities we did in Thailand, but I enjoyed boathouse the most, it was very relaxing day where we could reflect on all the challenges we had achieved. Some activities were quite challenging since they required a lot of energy, for me, rock climbing was the most challenging. It was my first time doing rock climbing; therefore, I couldn’t manage to climb well. However, after some trials I got used to it and was able to climb the rocks. This reminded me that as long as you put some efforts to anything you could not manage to do, you could be able to do whatever that was at the end. The food in Thailand was amazingly good. It was not only organic but tasty. Doing activities with the people that I was not really close with, I could get closer and made a few new friends. Overall, the Thailand trip was amazing. 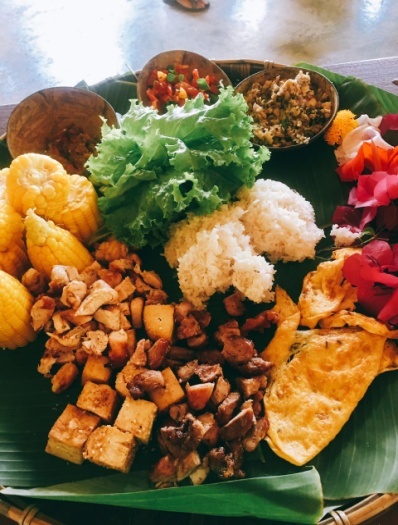 The weather was great and the Thai food was so delicious that I could see most of the students eating more than their usual amount. We had several activities such as: low ropes, cooking, BBQ, rock climbing, boathouse, Makhampom among other activities. We also visited Makhampom and playing with the kids there was the activity that I enjoyed the most; Not only from activities, but I really enjoyed the time when I could chill with my friends; this trip provided an amazing opportunity for all the students to make new friends. This really was a valuable time for all the year 12. I would like to say thank you to all the students and teacher chaperones for the enthusiasm they showed towards every part of the trip. Photos of all the groups in action are available on the school Moodle in the IB CAS folder, Enjoy! 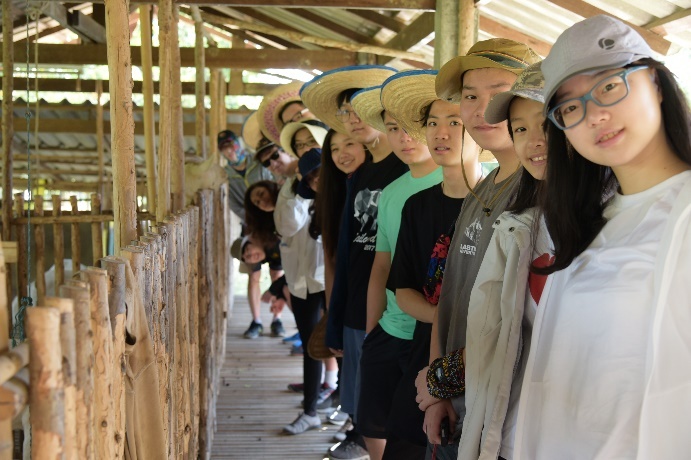 Each year, Year 10 students are invited to attend a trip to a rural school in Qufu which YCIS has supported through various fundraising events since 2011. Since then we have provided considerable renovation work and educational resources but more recently our focus is to provide creative lessons for the young students to improve their English. 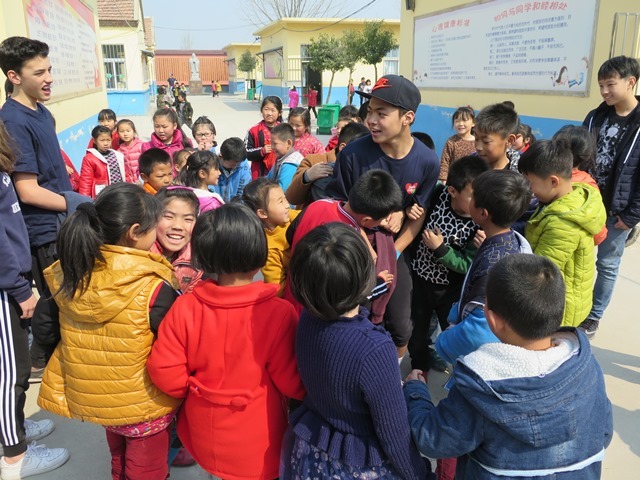 The trip also offers excellent opportunities for our students to use their Chinese language skills in a practical environment whilst developing leadership and confidence skills through working in teams to teach and support classes. 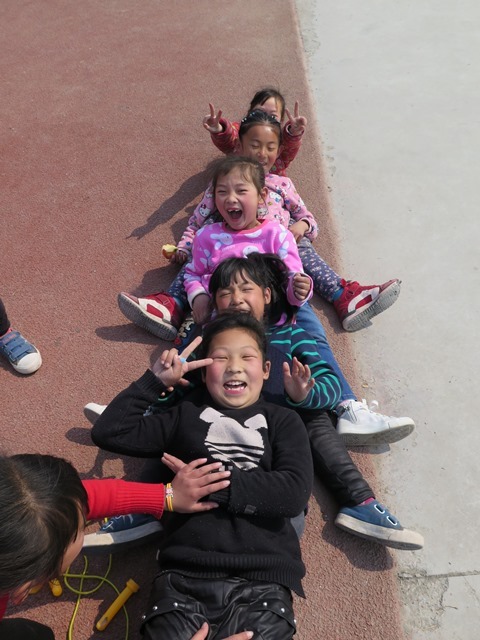 ‘We taught the children how to make ABC books and some outdoor activities like “3 is too much”, we also talked about our interests and similarities at break time. I got to learn that teaching requires a lot of skills and most importantly you need to understand the child, it’s not about the amount of knowledge you know. I am sure that through this experience I will be one step closer to one of my dreams, being a teacher. We also went to the Confucius temple, enjoyed the night view of a palace and took a look around the village. When I was in Korea learning history, it was always my dream to come here and see the difference of the architecture of Korean and Chinese ancient temples. Through this experience I learned new things about the Chinese culture, took many pictures with friends, and left with unforgettable memories. It was an amazing trip, collaborating with friends and going to temples to learn new culture was a very good experience for me. 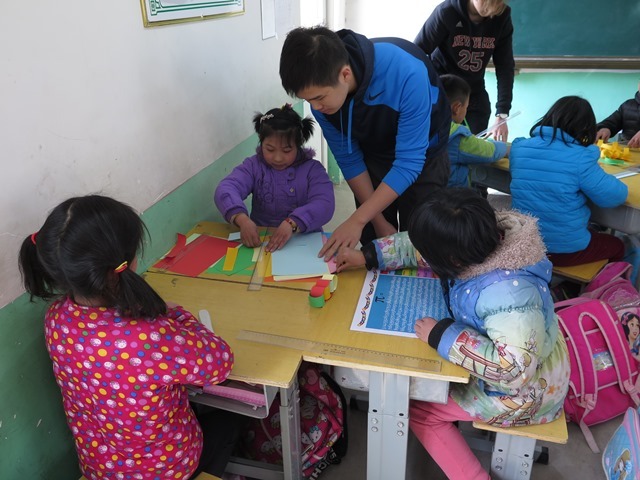 I would also like to say well done to all the Year 10 students, who showed excellent maturity and lead by example, they will be remembered by the children in Qufu for a long time. At YCIS Gubei Lower Secondary, students engage with a range of tools, experiences, people and facilities for learning, including iPads. 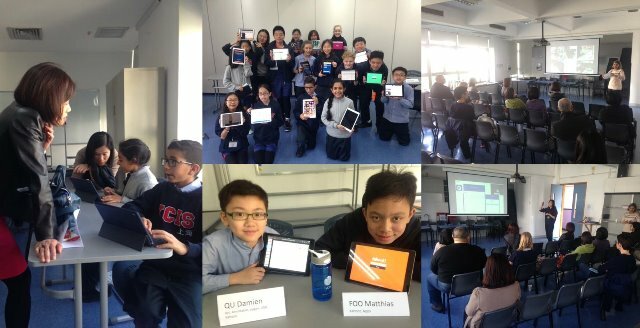 On March 28th, Year 6-8 parents gathered for an introduction workshop focused on how teachers and students are utilizing the iPads across the curriculum. Presentations included ‘Rethinking Maths’ by Ms Priya Williams and ‘Supporting Chinese’ by Ms Candice LU. Student Volunteers from Year 7 and 8 displayed and discussed various functionalities including accessing websites (Moodle, Managebac, Readtheory.org, Mathletics and PowerSchool), reinforcing and gamifying learning (Quizlet, Kahoot.it), organizing learning (Pages, Notes, USB app, Microsoft 365), as well as creating and communicating (Paper 53, Tellagami, Annotable, iMovie, Explain everything). During 2017-18, all Year 7-9 students will use a school issued iPad while on campus. We are looking forward to continuing to explore and enhance the effective application of this learning tool while nurturing 21st century skills and responsible digital citizenship. The event’s presentation is available on the Year 7 and Year 8 Curriculum Blog. 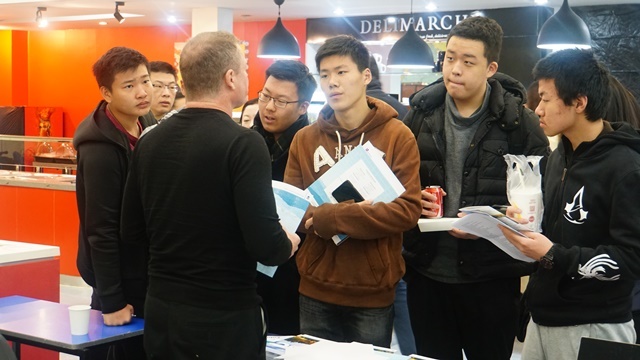 There were a number of workshops offered on topics of great interest to students and families. How to Choose a U.S. University: What is the fit factor? presented by Eliza Plous of Loyola University Chicago was well received by students and parents considering universities in the United States. Always a favorite, the Alumni Panel Discussion showcased alumni experiences from university campuses in the UK, Canada, Australia, The Netherlands and the United States. 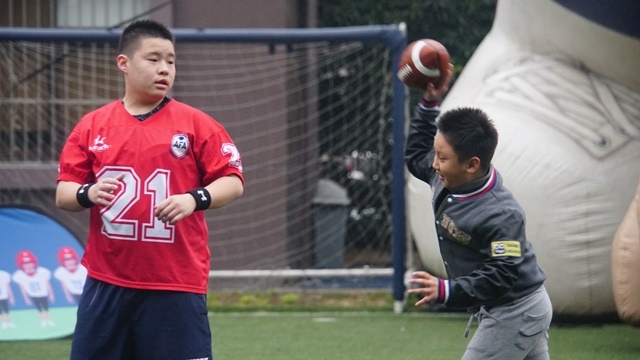 New to the festival this year, was a demonstration of American Football on the field given by the American Football Association located in Shanghai. Players as young as primary school age had a chance to participate in exercises on the field and to learn about the game. The event was a truly wonderful celebration of higher education around the world. 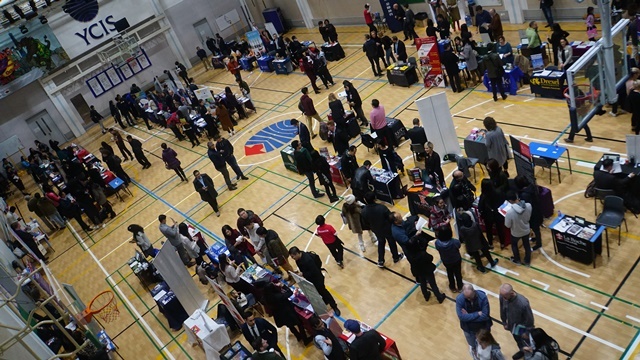 YCIS looks forward to hosting University Festival again next year!